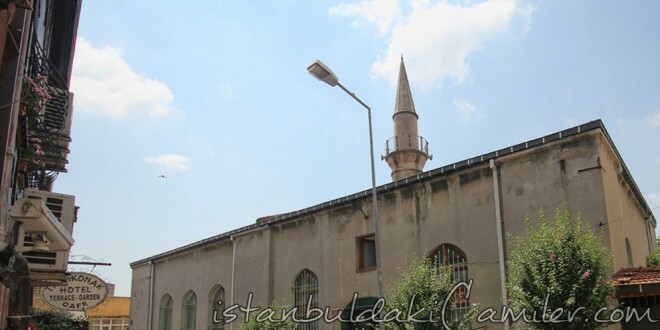 Kapi Agasi Mahmut Aga Mosque: The mosque that is situated near Ahirkapi, in Fenerli Street is also known as “Aga Mosque.” The architect of the mosque, which was built for Agha of Babu’s-saade (gate of felicity) Mahmut Agha, is Mimar Sinan. Having built by Mimar Sinan makes it even more precious. Inscription of the mosque is in Persian and it is written on it that the mosque was built in 1553. Having burnt twice in the years 1766 and 1825, it was rebuilt yet there is nothing original left. Its walls are bonded out of face-stones in an ascending style. It has got a single minaret with a single balcony on its right side. Dovvnstairs of the mosque is utilized as a depot. Although it was built with a madrasah and a children’s school, they were both bumt in the fires. The benefactor Kapi Agasi Mahmut Aga is buried in the graveyard of the mosque.